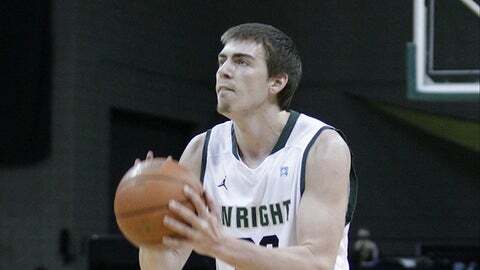 CHICAGO (AP) — AJ Pacher scored 16 points to lead Wright State to a 68-61 win over Illinois-Chicago on Saturday. Matt Vest added 11 points for the Raiders (18-13, 10-6 Horizon League), who shot 50 percent and had assists on 17 of their 23 field goals. Kelsey Barlow had 16 points for the Flames (6-24, 1-15), who ended a 17-game losing their in the last outing. Jordan Harks contributed 13 points and Pat Birt had 12 off the bench. Chicago was up 52-49 with 7:45 to play when the Raiders scored eight straight, four after turnovers. The Flames were within three with 30 seconds left but missed two 3’s after a Wright State turnover. Mark Howell and Reggie Arceneaux each made two free throws to ice it. The Flames did not score a field goal after the 8:30 mark, scoring their last 11 points from the fine line to finish 25 of 29.